This is in response to your letter of December 30, 1985 presenting your position on several issues that have come forward in your early inspections. Three problems are related in your letter. The first concerns whether information on the signs of exposure data must be included on MSDS's when available. You indicate that some companies are only noting signs of overexposure. Your interpretation is correct, both must appear on the form where available. 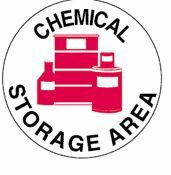 Label your chemicals correctly using posters, labels and supplies from Safety Emporium. Your second concern relates to 1910.1200 (g)(2)(vii), which requires a notation on the MDA when a chemical is listed in IARC, NTP or as an OSHA carcinogen. As you point out the standard does not require a notation unless a chemical is present on one of the referenced lists. Clearly it would simplify your compliance reviews if a notation of negative determination could be mandated, however the standard is final and clear on this point. In the third issue you indicate that one positive study indicating that a chemical is carcinogenic requires a notation on the MSDS. This is correct. 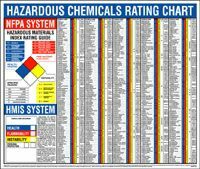 Under the Hazard Communication Standard, evidence of carcinogenicity is not limited to whether OSHA regulates the chemical as a carcinogen or whether IARC or NTP lists the chemical as a carcinogen or potential carcinogen. If one positive study indicates that a chemical is potentially carcinogenic a MSDS must state that fact. As with other health hazards, the manufacturer or importer need not state the positive finding as a conclusion they agree with, but they must report it nevertheless. Of course, data that indicates the chemical is not carcinogenic can also be included on the MSDS. This position is consistent with statements made by the Agency in the Fed. Red. 51852, 61854 (Dec.20, 1985). This memorandum is to advise you that paragraph (d)(3) on page A-5 of OSHA Instruction CPL 2-2.38 is revised. The heading listed as "Nuisance dust" will be deleted from the instruction and the guidance listed under that specific heading should be disregarded. We have recently been informed that the substances contained in the ACGIH-TLV list at Appendix D are presented only as examples of what could be sources of nuisance dust and that there is no documentation of record at the ACGIH that would define any of the substances listed in Appendix D as nuisance dusts. Accordingly, where the substances listed in Appendix D of the ACGIH list present no hazard other that that of a simple nuisance dust, OSHA will consider the lack of labels and MSDS sheets to have no direct or immediate relationship to safety and health and characterize such violations as de minimis. Encourage proper work habits with non-slip floor markers, signs, and labels from Safety Emporium.